Happy New Year’s Day! We hope you enjoyed your holiday celebrations. Congratulations to all who became engaged and early congratulations to those who will. Grand Bahama Island Weddings on the beach ended on a delightful note with the New Year’s Eve elopement of the beautiful Rico and Janett of Germany. No strangers to the island, the two had previously visited Grand Bahama and decided to return to be married. Studying for her masters, Janett had no time to plan the elopement so, Rico stepped in and did it all. 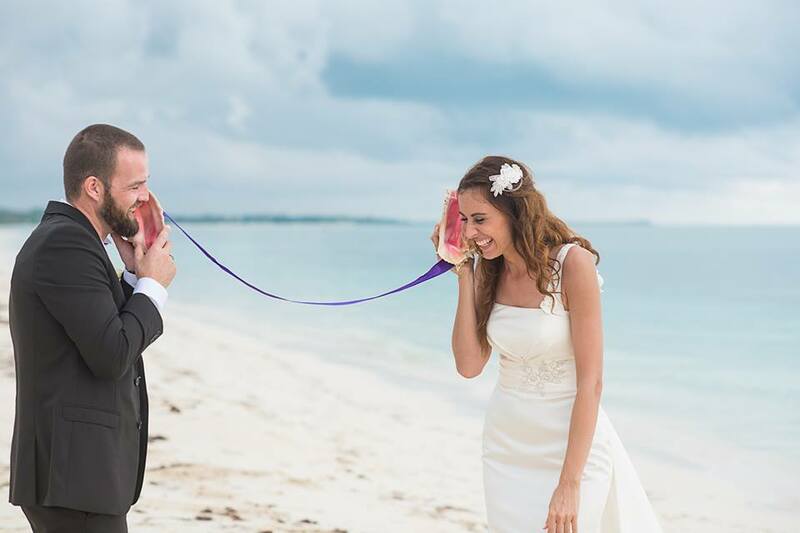 The stunning couple exchanged “I Dos” at a private beach in the early afternoon on Grand Bahama Island. Rico and Janett in a playful moment at their Bahamas New Year’s Eve elopement. Conch shell bride and groom conversation. The Islands of The Bahamas are a convenient destination weddings and honeymoon location. Located just off the coast of the US mainland, Grand Bahama Island is serviced by airlines flying from Miami, Fort Lauderdale, Atlanta, New York and various Canadian cities including Toronto, Vancouver, Calgary, among others. The island is also serviced by the Baleria fast ferry from Fort Lauderdale and the Celebration from West Palm Beach. Grand Bahama Island is a favorite spot for couples seeking nature based experiences … national parks, caves and caverns and kayak tours. Chic Bahamas Weddings would be delighted to work with you to plan your event. Contact us today. 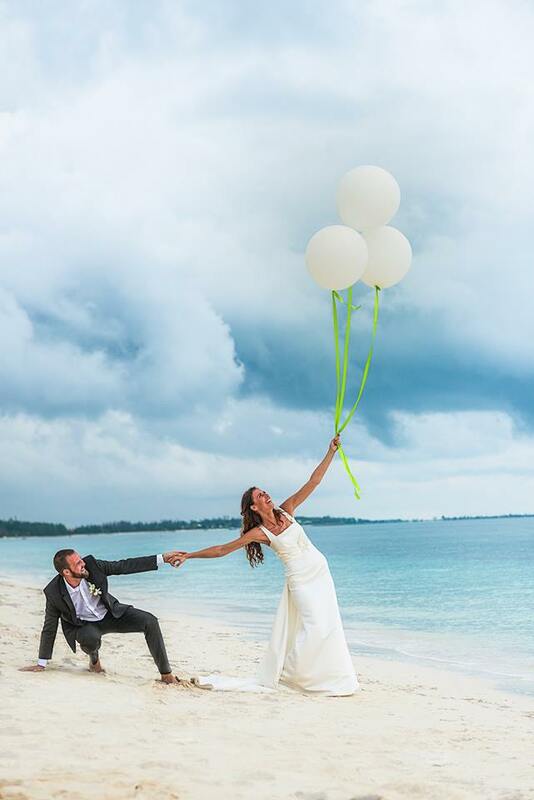 Our Bahamas wedding planner would be happy to help you.